Fast Electronic Delivery. You will receive an email (usually within 24 hours) with your download URL and serial #. If you need the code faster, please call us for expedited delivery. MWobbler is a unique distorting filter originally designed to produce dubstep wobbling basses, but it turns out to be a great multipurpose filter for just about any audio material from rhythmic pads, rotary organs to drum driven basses. While traditional filters have a single filter from the traditional set of filters (low-pass, high-pass, comb and a few more), MWobbler has 2 sets and each of them provides 98 impressive filter types (lp, hp, bp, br, eq, harmonics, scream, formant, comb, diffusion, polymorph...). 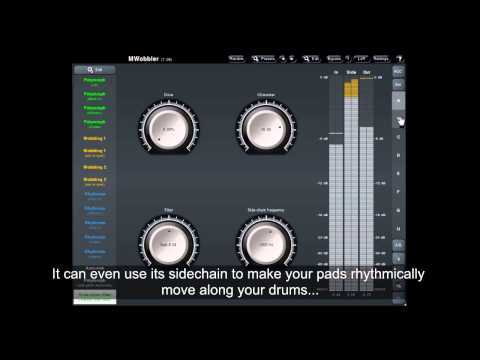 Of course you can use the marvellous modulators in the same way as you do with other MeldaProduction plugins, but MWobbler makes things much easier and better sounding using its integrated LFO and level follower, which you can use together at the same time. The level follower has also a fully adjustable equalizer, so you can tune it to any part of the spectrum and you can also use MWobbler's side-chain input to control the filter using completely different audio material.